InterAct Global was established to be part of the emerging way of working for the needs of the future : collaboration, networks, synergies, creativity, professionalism, vast experience, wisdom, competence, capacity development. Our purpose is to help people connect with others at work so they can collaborate and thrive. Often this means eliminating the hurdles that block a deeper understanding, respect and appreciation of each other. We achieve our purpose through trainings, facilitated conversations, team support or coaching, or other customized programs. We design conversations for the discovery of oneself and others. We want to be your trusted partner, someone who keeps your best interest always at the forefront. We thrive on diversity of ideas and create environments where everyone feels welcome. We believe individuals express themselves in a variety of ways. We design programs which provide different opportunities and media for participants to express their opinions. You are interesting to us, and we are curious about your intention, not only your behavior. We listen deeply and appreciatively with the intent to understand and to know you and your team or organization. Theresa is the contact point for Interact Global, and she taps into her network of expe rienced professionals to create the team to serve you best. With over 25 years of experience, Theresa has had a portfolio of leadership positions and experiences which have broadened her understanding of the challenges and complexity facing business professionals today. Consequently, her approach to training, facilitation and team coaching is grounded in current business reality with an eye towards the emerging future. Although it may not seem traditional, Theresa’s career path seems to have led to working with different cultures and teams. Theresa began her career in accounting/financial reporting, which eventually led to managing ERP implementation projects and post-merger integration programs across Central and Eastern Europe. Although the content of the work was interesting, it was the interactions with people across cultures that fascinated Theresa, especially the potential to leverage diversity of ideas for creativity and higher performance. The passion for culture and diversity grew as well as Theresa’s knowledge and understanding. In 2007, Theresa began with Trompenaars Hampden-Turner, providing training and consulting for large multi-national and global organizations. Participants in her workshops are usually engaged in the topic because of Theresa’s very interactive style. Theresa believes the wisdom is with the participants and she is there to facilitate the discovery of oneself, colleagues, organization and society to lead to cooperation, personal growth and achievement of shared goals. Theresa welcomes new ideas and approaches, and is always eager to explore with her colleagues and clients to create breakthroughs together. 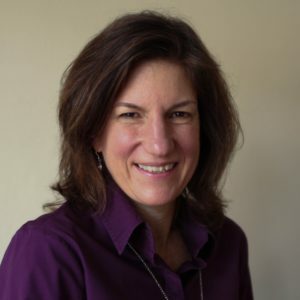 Theresa is an experienced speaker and workshop facilitator on the topics – Developing Cultural Competence, Developing International Teams, Working Virtually and Leading Multi-cultural Virtual Teams. Originally from the US, Theresa has lived in Europe since 1997. She received her MBA from University of Michigan, graduating with high academic distinction, including the receipt of the Henry Ford II Award for academic excellence.